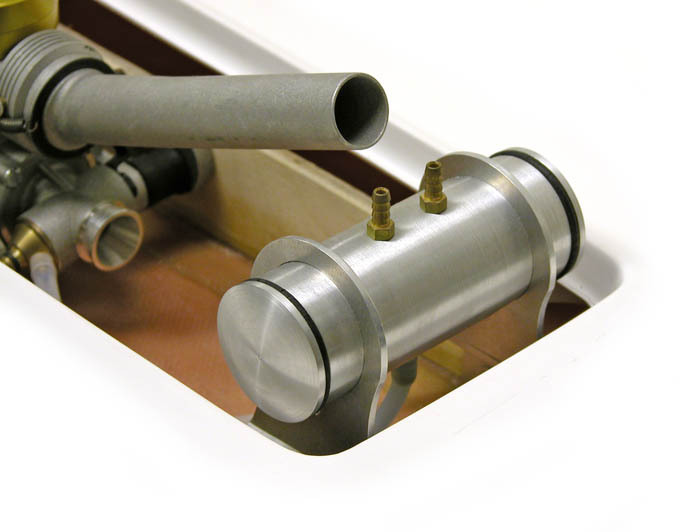 Spun aluminum fuel tanks complete with vertical mounting brackets. Turned from 6061-T6 aluminum, these tanks feature "O"-ring sealed end caps, brass fuel fittings, and all fasteners for mounting. Sizes in 4oz. for smaller hulls, and 12oz. for larger models and gasoline. Finished in clear anodize for a frosted, brushed-finish look.